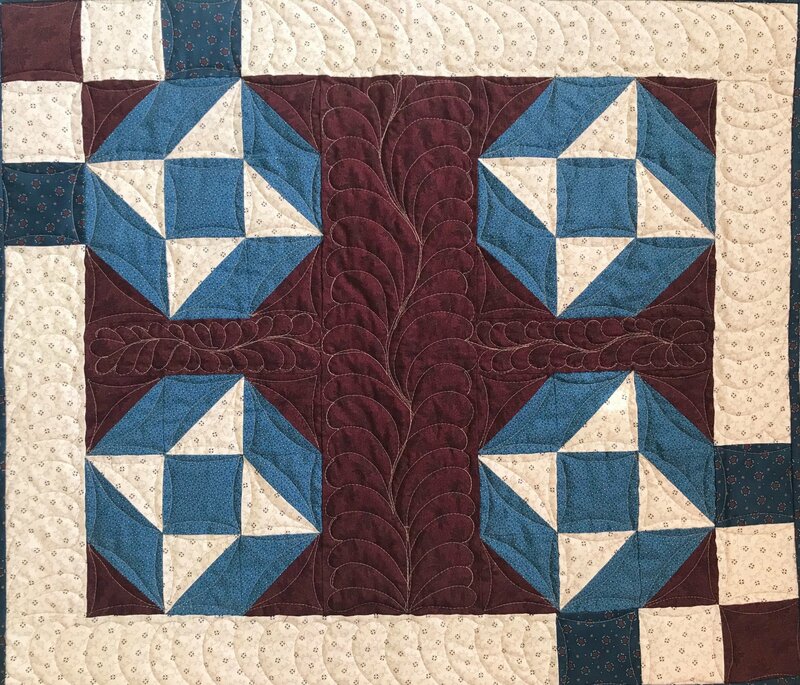 Ribbon Post Card Mini Quilt - part of Shop Hop 2018 Sew Blessed designs! Finished size 26" x 30". Kit includes pattern, mini quilt top fabrics, and binding. Backing and batting not included.